Acclaimed Australian Baritone, Jason Barry-Smith has forged a respectable career performing some of Opera’s most coveted leading roles, from Don Giovanni to the title role in The Barber of Seville but his latest role as Italian activist Aldo Marini, in the brand new musical Mimma: A Musical of War & Friendship, is one of his most exciting to date. “We don’t often get this opportunity”, Barry-Smith says during a break from rehearsals. “As an Opera singer, I’m usually singing the music of dead composers, so when you’ve got your composer there and your librettist there, it’s a living organism”. 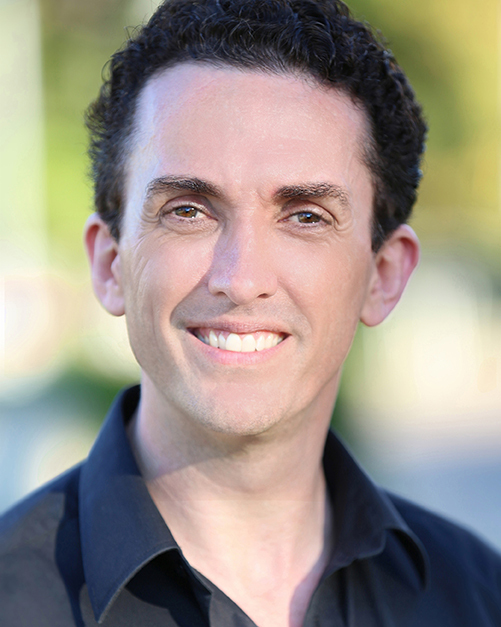 In Mimma: A Musical of War & Friendship, Barry-Smith plays Aldo, the older brother of the titular character Mimma. Based in Turin during the 1930s Aldo is working on an anti-fascist newspaper with his mother Ada, who is loosely based on Italian journalist and Anti-Fascist leader, Ada Gobetti. “We are sort of playing characters who are very similar to real life characters”, Barry-Smith explains. “Aldo is helping his mother after the assassination of his father to keep this newspaper going and Mimma is helping as well; but we realise that stuff in Italy is going pretty badly and the Black Shirts are becoming a problem, so we send Mimma off to London”. In London, Mimma takes refuge at her Uncle’s nightclub in Soho and forges a friendship with Jazz singer, Sarah Parker. But as another World War becomes inevitable, activists including Aldo are arrested in Italy, while in London, fears of betrayal have reached fever pitch where refugees are ousted as “Enemy Aliens” and are facing internment. As England and Italy are facing their darkest hours, Mimma is in danger of losing everything. While the musical is set in the 1930s, the Baritone believes that there are many parallels with today’s political climate. “There are times when I just despair because so many people have not understood anything from the past. They don’t learn from the atrocities in the past and see the relevance to what is happening now, why these terrible things are happening is because of racism and people misunderstanding people that are coming from other countries. And here is a musical where it talks about that and explains that we have to start understanding that people are people, no matter where they are from”. 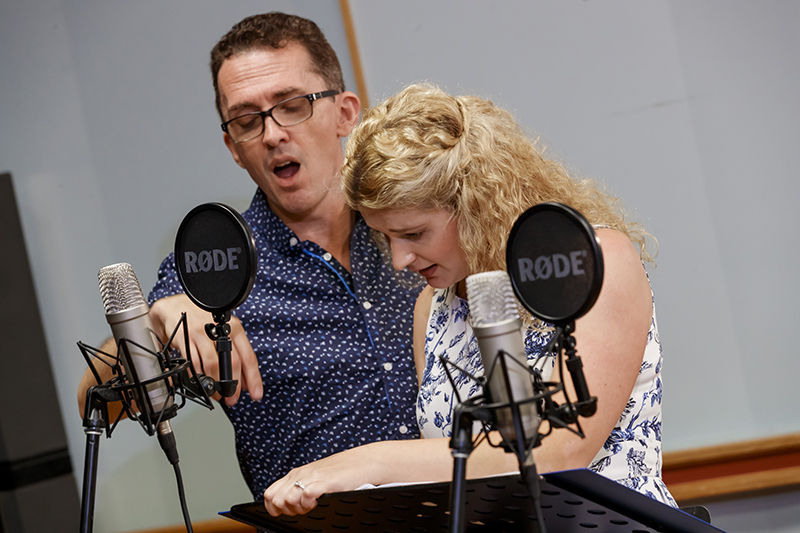 It’s not often a theatrical musical of this scale would have its World premiere in Western Australia, but the Father of two believes the production will resonate with West Australian audiences. “There is a large, proud Italian community here in Western Australia, and I think they should embrace this. This is part of their story and their heritage and also it’s not part of our understanding of World War Two that most people see. We see a lot about what happened in Germany and what happened in Austria, but we don’t see terribly much about what happened in Italy at that time. (Mimma) gives us a lot of information about the difficulty with Il Duce and it’s an important thing to understand our history so we can learn from it”. Despite the grim subject matter, Barry-Smith ensures that Mimma boasts plenty of show-stopping moments especially when the action moves to London. “The music is extraordinary. The jazz in England in the 1930s and 1940s was not quite as swinging as it was in the US, but it’s got this definite feel of the jazz of Great Britain at the time, and also music theatre numbers which have an Italian quality about them”. Barry-Smith says the opening number “Rhumba Italian” is a real “showstopper”. “The opening number has a real sense of Italian Broadway that takes us into this world”. Other showstoppers include “Whiskey Neat” a lively jazz number performed by Mimma’s new friend Sarah Parker and several Operatic Arias that are performed in Italian including the trio “Aria Piedmontese”. “Aria Piedmontese is going to be something that blows people away – I can’t explain what the situation is, otherwise it is such a giveaway, but it’s a trio for Mimma, Aldo and Ada. It sort of has a little bit of a sense between an Operatic trio and something like “The Prayer”. While the Queensland native does not have any Italian ancestry, the Baritone has lived in Rome where he was resident at the Teatro dell’Opera di Roma which he says has helped him prepare for the role of Aldo. “I have such a love of Italian culture, not just because I am an Opera singer and because I lived there. My wife and I adore Italian food, we love Italian music and architecture… I feel like I know the person who I’m being, through knowing a group of people who all have different qualities is very helpful and also understanding these sort of relationships in Italian families especially between a mother and a son”. 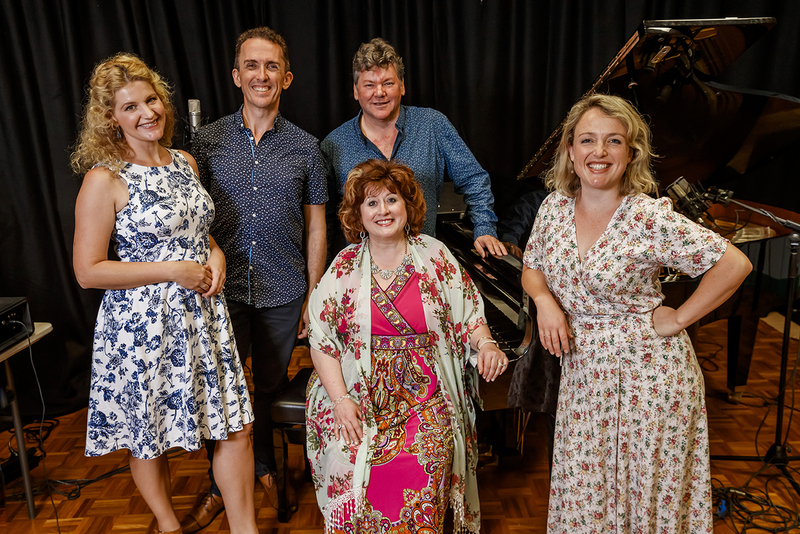 As the cast of Mimma which includes Mirusia Louwerse and Suzanne Kompass continue to fine-tune their work before opening night, Barry-Smith says he hopes it will be the start of many more original productions. “There are so many Toscas and La Bohemes one can do and as wonderful as that repertoire is, we need to also open the gates to new repertoire. If you look at the way Verdi and Puccini were working, they didn’t have everything done on the first day of rehearsal; they were changing things right till the last moment…and that’s the exciting things about what we are doing with Mimma, we are telling a new story, not an old story with a new perspective which is what directors of Opera and Shakespeare do, but we are telling a story about us now, even if it’s telling a story from the 30s and 40s”.